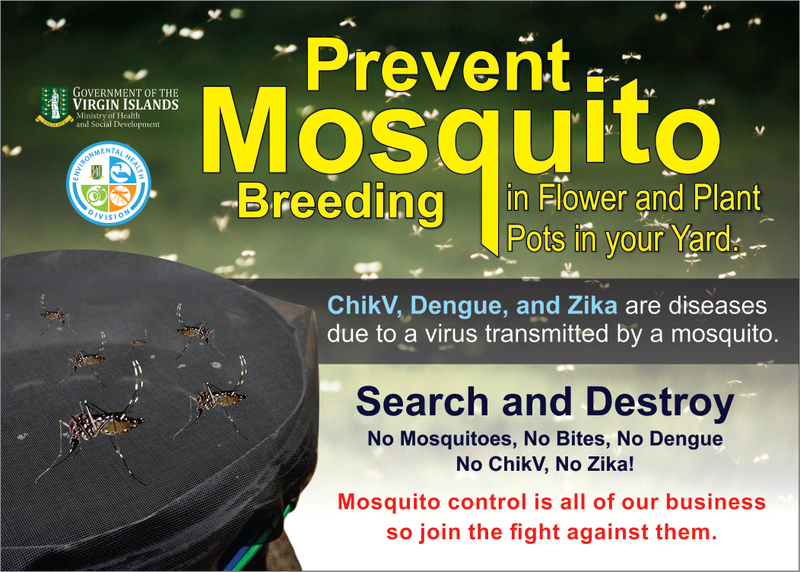 Residents of the Virgin Islands are being urged to take all necessary measures to protect themselves and eliminate all breeding places for mosquitoes from around their homes. Chief Environmental Health Officer, Lionel Michael said the Ministry of Health and Social Development, Environmental Health Division, in response to the Dengue alert in the Caribbean region, is assessing its Mosquito Control Programme and increasing its campaign through education, awareness, premises inspections and various control measures. The Chief Environmental Officer added that householders can protect themselves by using mosquito nets and window screens, wearing long clothing and using mosquito repellant when outdoors. The Environmental Health Division is committed to ensuring that all aspects of the environment with the potential to negatively impact the health of the population are managed efficiently to enable all persons in the BVI to attain and maintain optimal health and well-being.